Stretch wrap machines can be considered a large investment for businesses, so if you are thinking about making the leap to stretch wrap automation, here are 6 key areas to consider. If you are wrapping between 10 – 15 pallets (or more) per day, then it’s probably time to consider making the investment in a stretch machine. Wrapping pallets by hand can slow down the goods-out operation and be costly in terms of the amount of film you are using. It’s also strenuous work for the operator. Typically, wrapping a standard pallet in hand film can equate to roughly 75p material cost per pallet. By switching to a core-break stretch wrap machine, you can reduce that film cost to roughly 50p per pallet, a power pre-stretch machine costs roughly 20p per pallet. These costs are dependent on the kind of stretch wrap you are using. So whilst the initial cost of the machine can be significant, the savings made in stretch film more than cover the cost and can add up to a small fortune over the years – if you invest wisely and follow a good maintenance routine. A stretch wrap machine can last up to 15 years (sometimes longer) and, typically comes with 3 year warranty cover. Available space can be deciding factor on the type of machine that you go for. If you have limited space, you may want to consider a mobile pallet wrapper – these can be taken to the pallet and motor around it to deliver the wraps. If you have more space a turntable machine could be more suitable, ramps can be added to drive pallets on and off. 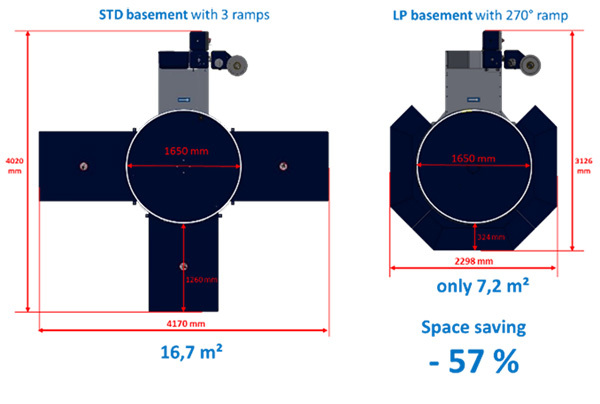 A new range of space saving low profile ramps are available to facilitate even the tightest of spaces and, low profile machines offer a 60% reduction in turntable height making it much easier to load pallets on and off. There are two factors to consider here. Firstly the overall weight of the pallet. If the load is very heavy – or unstable – these won’t sit well on a turntable stretch wrapper. 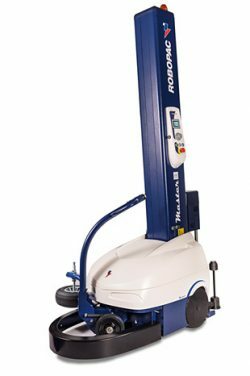 Unstable loads can be managed with the addition of a top platen – a foam disk that keeps the load steady as it rotates. If the items you are packing are light weight – for example empty bottles – you should consider a Power pre-machine, the stretch wrap is applied without crushing the goods whilst delivering great load containment. When purchasing a large ticket item you want to ensure that it’s delivering value. Consider a model that offers full reporting visibility. 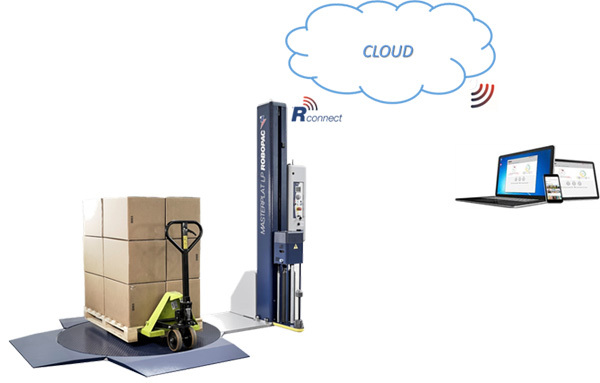 The ingenious new R Connect is a cloud based system that monitors performance of the stretch wrapper via your mobile devices, allowing you to check system settings, film usage and service information remotely. With its predictive maintenance software, it is also able to eliminate defects at an early stage. R Connect ensures performance optimisation, regardless of who is operating the machine. If you are a food manufacturer and/or work in cold stores, then there are machines available that are specifically manufactured to operate in these environments. Stainless steel models can be frequently washed down, and specialist stretch wrappers are able to operate at temperatures of -30 degrees. Before purchasing a stretch wrap machine speak to a packaging consultant to ensure that the machine is right for your needs. Macfarlane Packaging offers a free trial on stretch wrap machines to ensure that you find the right fit for your business.